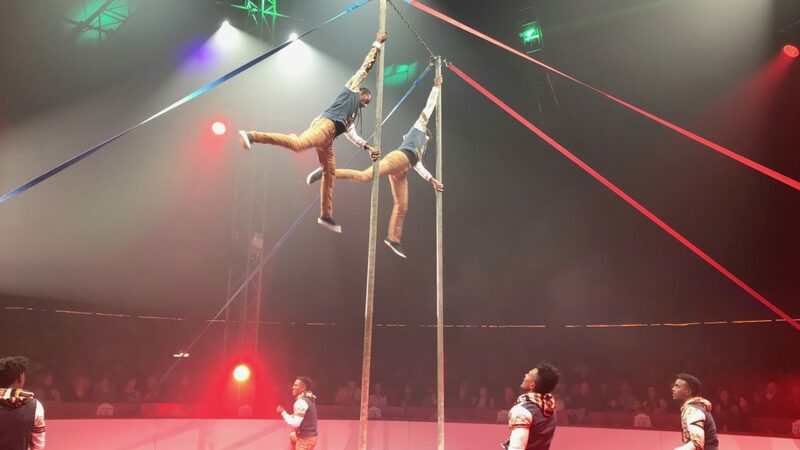 To set the stage for you: the Festival Internacional del Circ Elefant d’Or brings together over 88 international artists, from 14 counties, for one of the biggest circus festivals in the world! 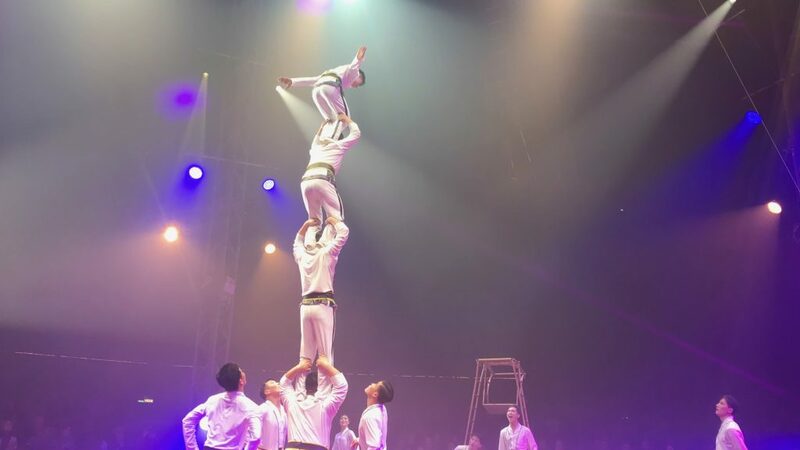 While enjoying Girona over Valentine’s week, we were beyond thrilled at the chance to watch jaw-dropping physical feats and whimsical clowning antics. We savored a bit of live music and a snack before the show! 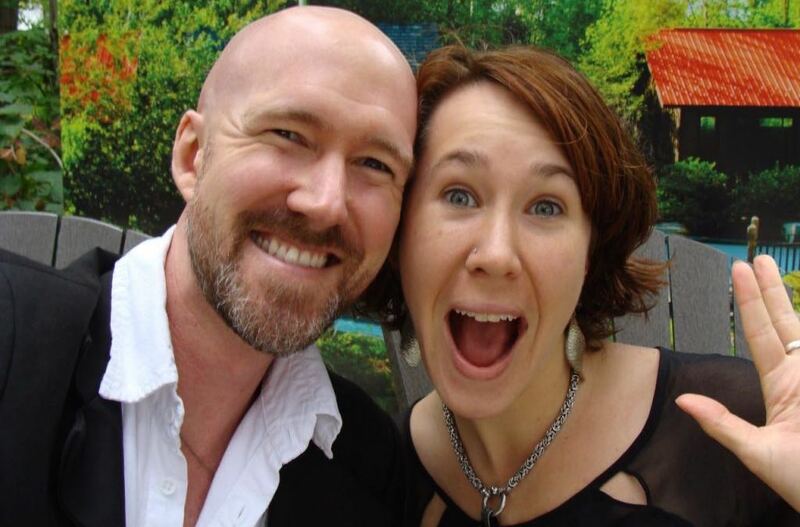 Live music and a cold beer set the tone for a zippy, uplifting evening. As we waited to enter the big top, a lively band was playing some zippy sweet jazz. We also enjoyed a refreshing beer and a warm ham n’ cheese crepe. With all this excitement, it’s important to keep energized! 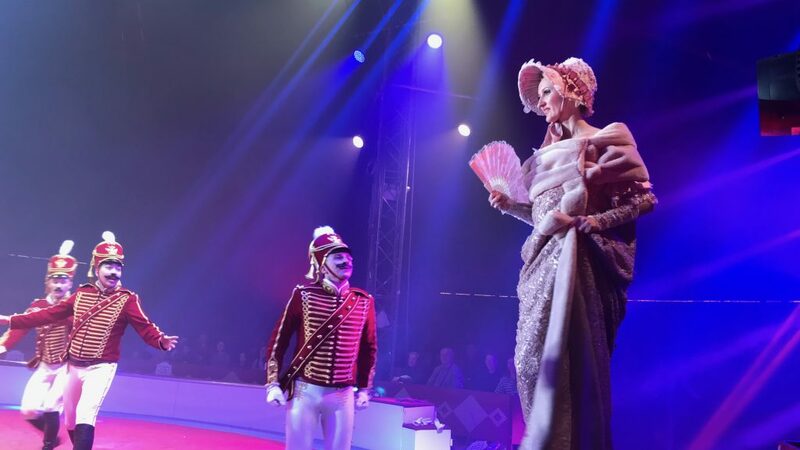 Our hearts pounded as we entered the big-top tent! 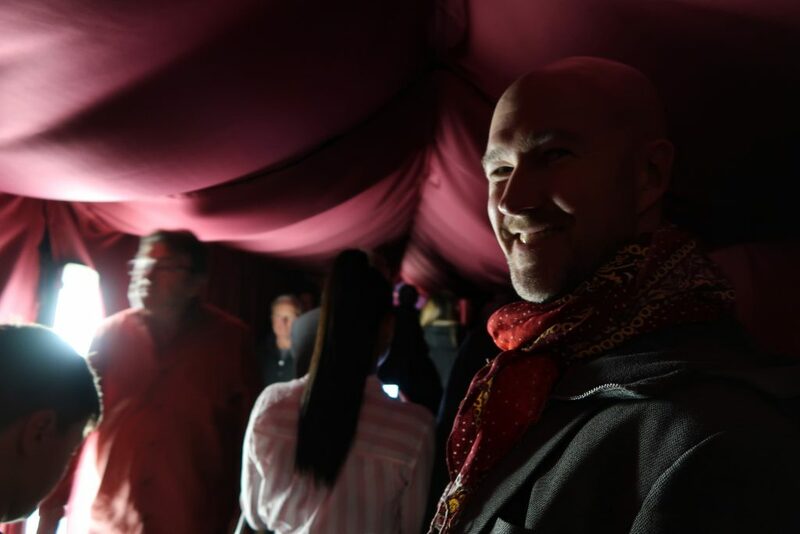 The entry to the big top tent was through a red satin hallway, and you can sure: our pulses sped up as our anticipation built! With popcorn and beer in hand, we found our way to our front-row seats! As we found our front-row seats, the arena was awash with lights, music, and a dash of fog — for mystery. We were amazed by how intimate the center stage felt. it didn’t feel cramped or small, by any means. 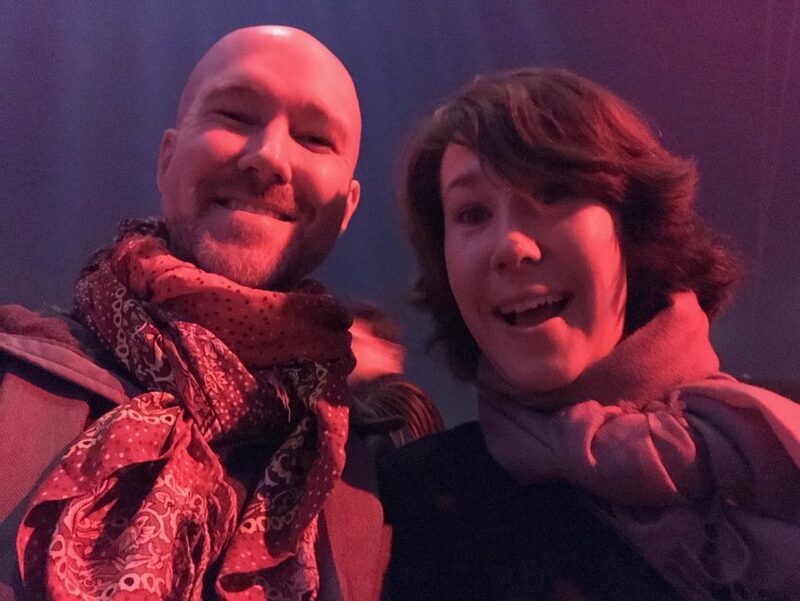 It simply felt like we were immersed in the action, and could have almost reached out and touched the performers… especially since we were in the front row. The Ringmaster introduced the big show! 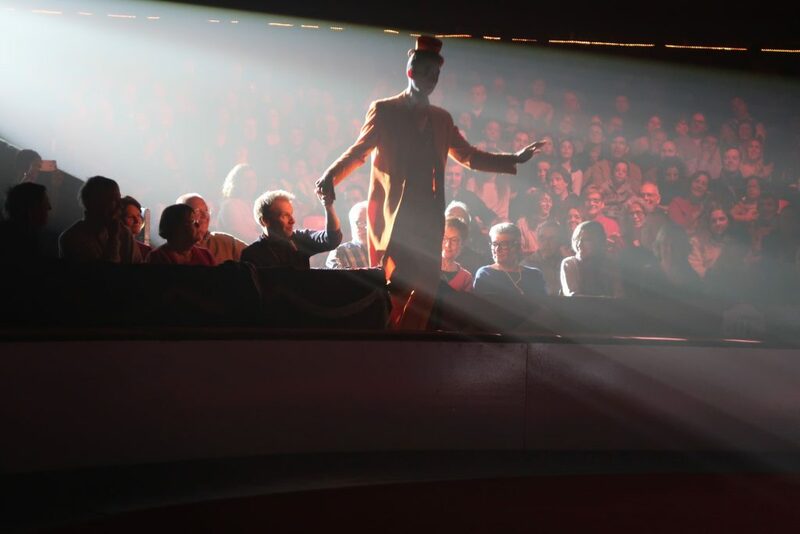 The ringmaster greeted us with panache and charm. 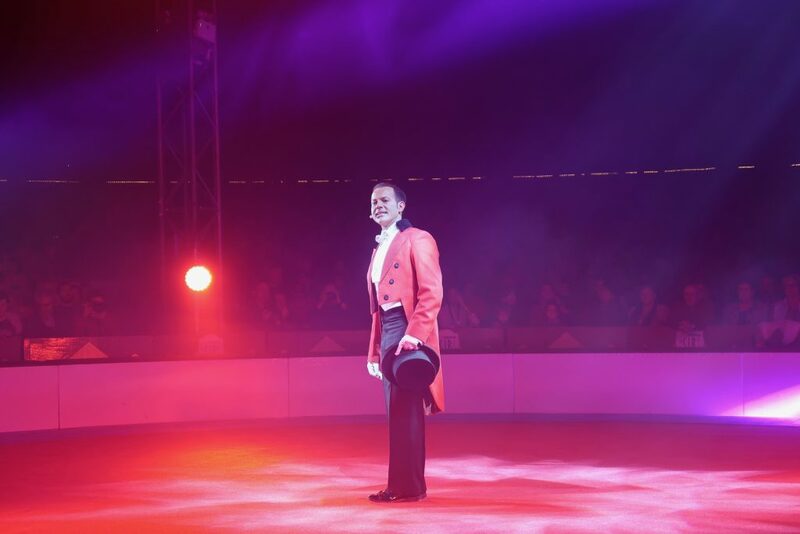 The regally attired ringmaster greeted us, and opened the show with a bang! With representatives from a variety of countries, it really is an international spectacle. It was awesome to see the 80+ international performers circle the stage, each with their home flag! It really showcased how diverse the festival is. The first performance was incredibly romantic! Can you feel that stage presence? Elegance and strength came together in romantic acrobatics. What a perfect tone around Valentine’s Day — the first set was performed by a couple dancing through the air! They absolutely sizzled with talent! Each performance had a unique charm all its own. The sets that followed were incredible! 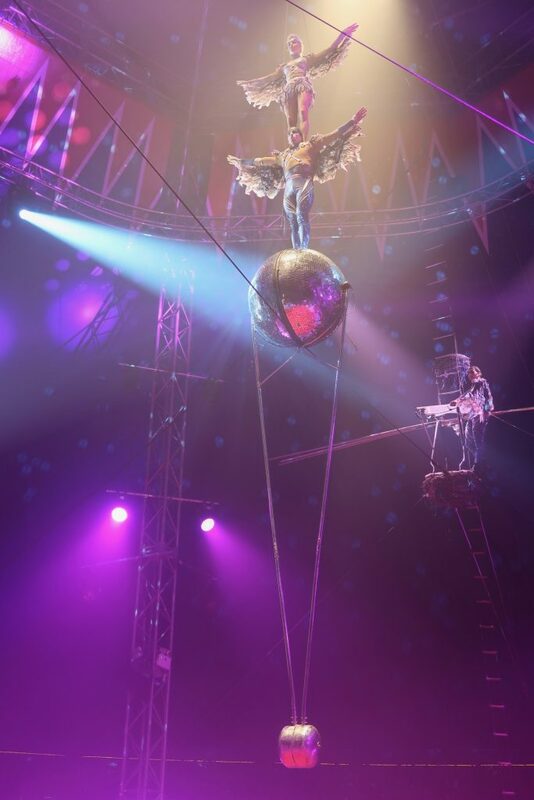 Some performers were suspended in the air, while others used the arena floor. Each told a sort of story with their act, and kept us on the edge of our seats! Our hearts were stolen by the miming clown. 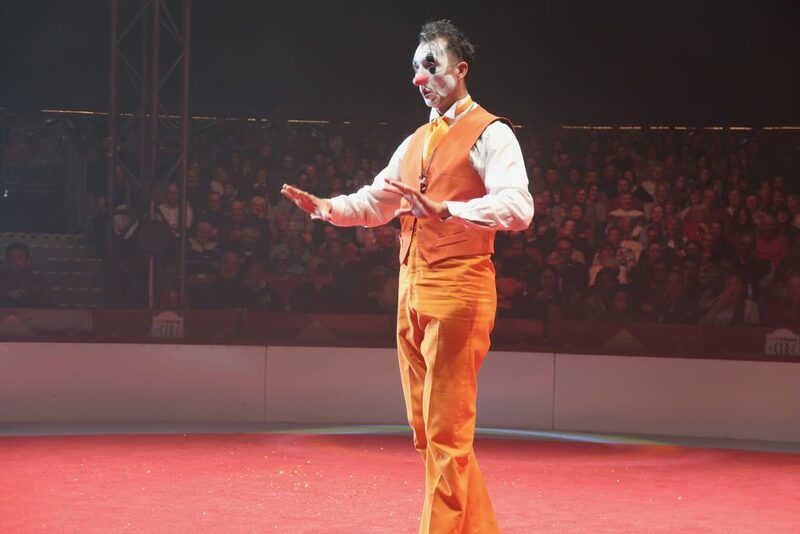 I know a lot of people feel clowns are a little “off-putting”, and often they are right — but the miming clown at the festival was totally funny and heartwarming! The personality of the performances really filled the tent with palpable energy. Wow! Sometimes, when you take a moment to look closely, you find that you can’t believe your eyes. 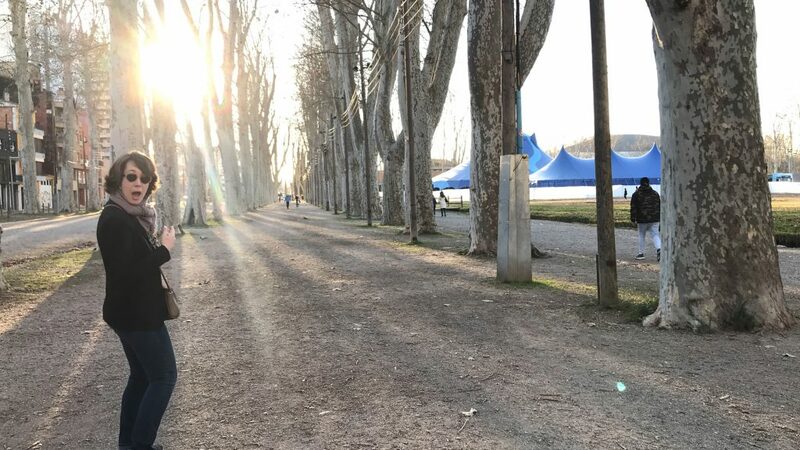 A particular one-woman show was not flashy, but slow, subtle, and mind-boggling. She beautifully balanced objects in her mouth as she swung in the air. As someone who can hardly walk down the sidewalk without tripping, I was amazed! The costumes, personality, and dramatic timing were a total blast. 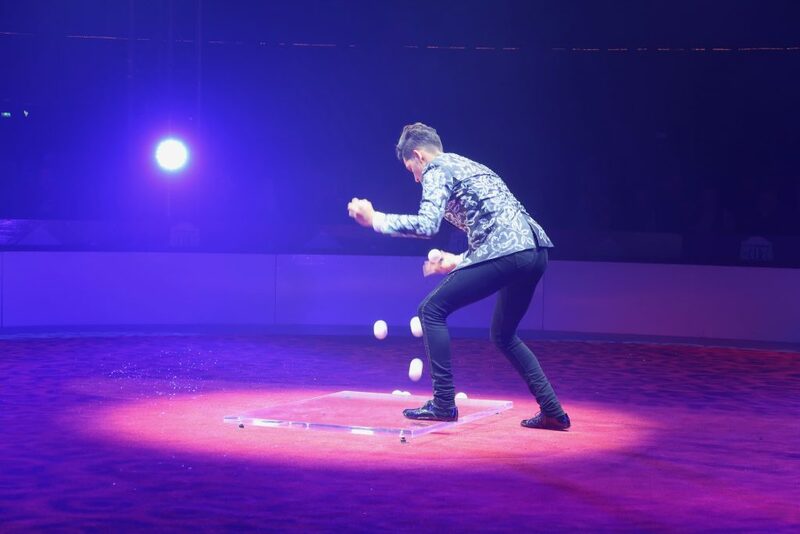 This young man, juggling an awe-inspiring amount of balls, had incredible stage presence. Who knew juggling could be so fun. It was amazing! Can you believe some of these set-ups?!? This duo seemed to defy gravity as they used the spinning force of a huge metal contraption force to seem like they were floating as they danced. Some moments seemed to be frozen in timeless majesty. I was somewhat obsessed with the bird-people tightrope act — it just felt epic! The show must go on… with a DISCO ball! Also, they balanced on a huge disco ball on tight-rope. Crazy awesome, I know! Memorable interactions were the norm, from one moment to the next. We really enjoyed the stories that many of the performers incorporated into their sets: some sets were romantic, while others were funny. We never knew what to expect next! These guys were having an absolute blast. They reveled in the applause. 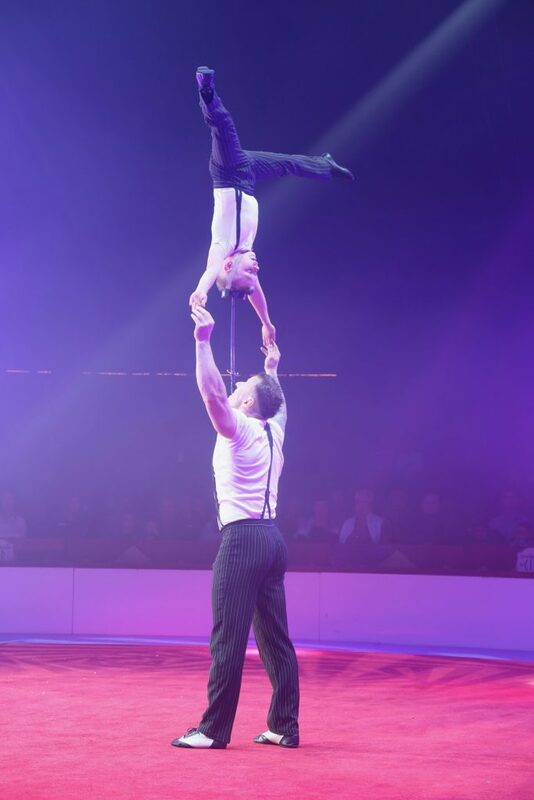 This father-son duo was perfectly matched, and they were a joy to watch! Also, you could tell that they really enjoyed performing. It looked like so much fun! The amount of talent at this show was incredible! 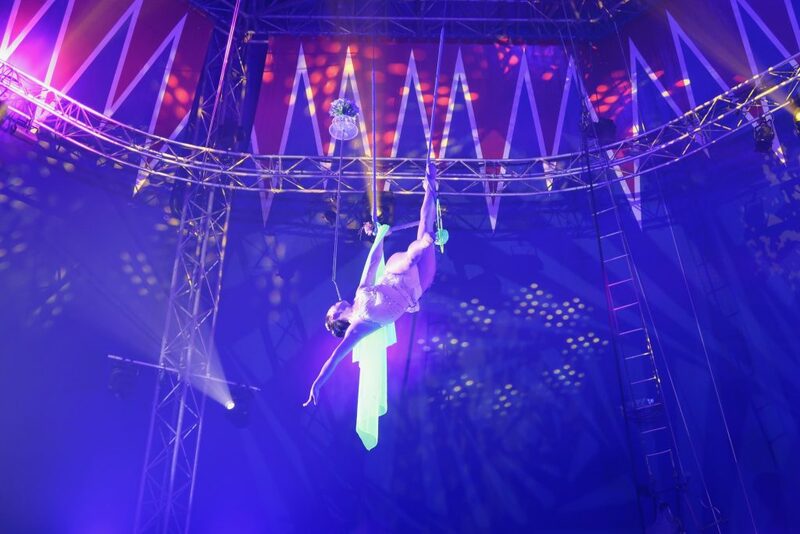 For the performers to reach such skill must require profound dedication and practice. It was an absolute joy to behold! The live band made the show! The live band, the intense energy, and the unforgettable performances were all part of this incredible standing-ovation spectacle of an evening. 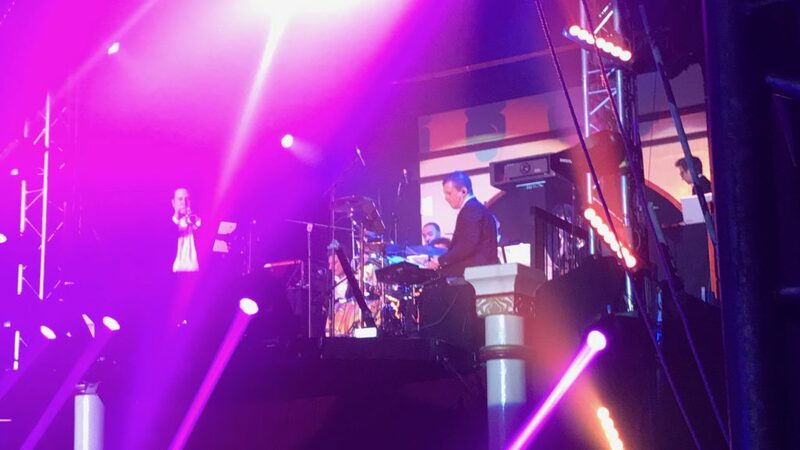 The show would not have been as lively or as enjoyable if it were not for the talented live band! From where we were sitting, it was a little hard to see them, but once we spotted them, it was mesmerizing to see how they timed various tunes and sounds with the key moments in each performance. Thank you Festival Internacional del Elefant d’Or for an incredible evening — we were dazzled and inspired by what we saw! We are enormously curious about what future years will hold!